The Gannet was the product of the 1950s when aircraft designed and constructed in the UK had an identity and uniqueness all of their own. When Fairy displayed the T2 Gannet at Farnborough she shared space with the Vulcan VX770, Varsity VX835, Victor WB775, Sea Vixen WG240 and Javelin WT827 all unique and instantly recognisable as British. 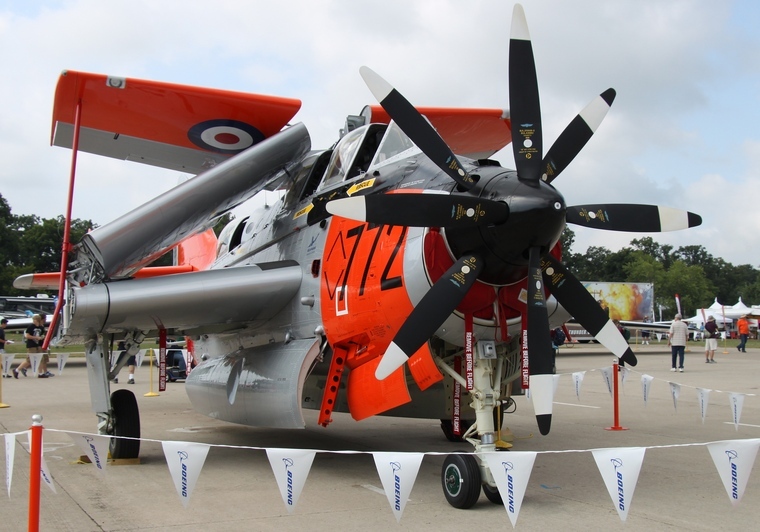 Designed to meet a requirement of the Royal Navy's Fleet Air Arm (FAA) for a carrier borne anti-submarine aircraft the Gannet was later to serve in the electronic countermeasures and carrier on-board delivery aircraft roles. Possibly the most unique feature of the Gannet is its Armstrong Siddeley Twin Mamba gas turbine engine. The twin Mamba is essentially two Mambas mounted side by side and coupled through a common gearbox to coaxial contra-rotating propellers. Power was transmitted from each engine by a torsion shaft which was engaged through a series of sun, planet, epicyclical and spur gears to give a suitable reduction ratio and correct propeller-shaft rotation. The Double Mamba engine could be run with one Mamba stopped to conserve fuel and extend endurance for cruise flight. The contra-rotating propellers meant that when only half of the Double Mamba was running there were no thrust asymmetry problems. The Mamba exhausts were situated on each side of the fuselage, at the root of the wing trailing edge. The gas-turbine engine could run on kerosene, "wide-cut" turbine fuel or diesel fuel, allowing the Admiralty to eliminate the dangerous high-octane petroleum spirit required to operate piston-engine from aircraft from carriers. 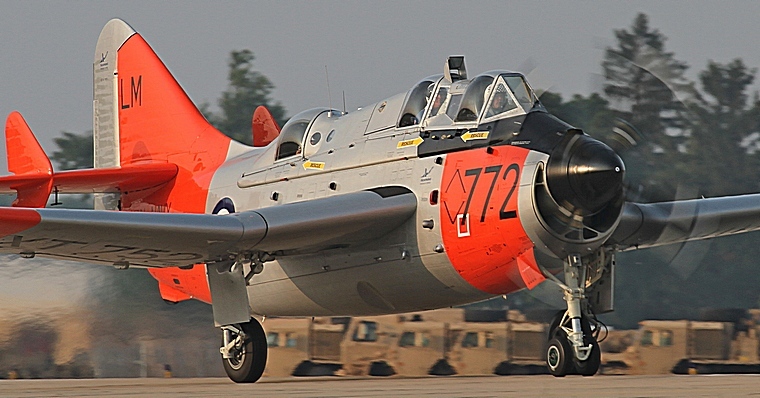 Janet was the first T2 dual control training version and first flew in August 1954. Her distinctive all over silver with yellow bands signify the typical markings of British training aircraft. 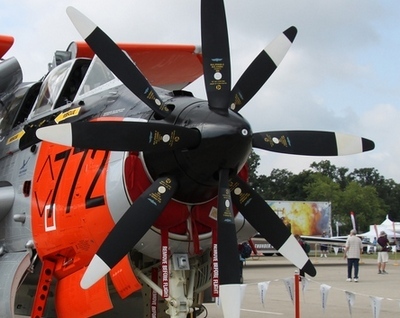 A total order number of only twenty four T-2s were manufactured. Before entering military service Janet spend time at Boscombe Down where she underwent evaluation into her operational potential in the submarine search and rescue role as well as her suitability as a training and conversion platform. In 1957 she was released for military service but was again recalled this time for a complete rebuild and to be used as a new prototype. This is a first in military history, never before has one aircraft served as two prototypes. The new prototype fitted with the more powerful Mamba engines was designated T5 and eight were built. Janet went back into active service. In 1960 Janet was again recalled by Fairy. This time she was to be sold to the Indonesian government who had purchased a number of Gannets. Although sold she never left the UK but was taken on strength by Fairy and placed on the civilian register as G-APYO. Based at White Waltham field she was instead used by Fairy's training scheme to train Indonesian pilots. In 1961 she had successfully and without incident or damage completed her training task and she again went to the military as XT752 where the Royal Navy had her new livery of silver and Day-Glo applied. She served in the RNAS until 1967 and then with 849 squadron until 1970 when she was moved to Lossiemouth in Scotland. In September 1970 she was one of the start attractions at the Biggin Hill's Airshow. Still with low operating hours she spend the last of her operational days Lossiemouth before being placed in storage. In the early 90's she was put up for sale by the Royal Navy's heritage trust that was in need of funds to complete its Swordfish restoration. The sale included a full complement of spares that would be sufficient to keep her airworthy well into the future. The buyer was a museum in the USA. In 1996 her assembly was completed and she returned to the sky for the second time in her life registered as a civilian aircraft. In the same year and then forty years old Janet made her first appearance at AirVenture, Oshkosh where she drew the crowds. Unfortunately the Museum closed its doors but fortunately Janet was placed in climate controlled storage. Years passed until 2004 when Shannan Hendricks became her proud owner. Arrangements were made to fly Janet to the UK but unfortunately she did not complete the journey. Airlifted back to base where her recovery a team of international professionals, sponsors and enthusiasts worked tirelessly to get her back in the air and on 8th of June 2013 "Janet" rolled out of her hangar for the first time to meet the public since her refurbishments. In 2014 Janet made her second visit to AirVenture Oshkosh where she was one of the major attractions at the world's biggest aviation event.